On the long list of items for this cross-country move, we have one down! A new couch. Of course, it won’t be delivered for weeks… but who’s counting? A new couch brings me joy. Just thinking about who will sit there, the conversations we will have, the laughter, the love, all taking place in the living room. A couch is for the living. 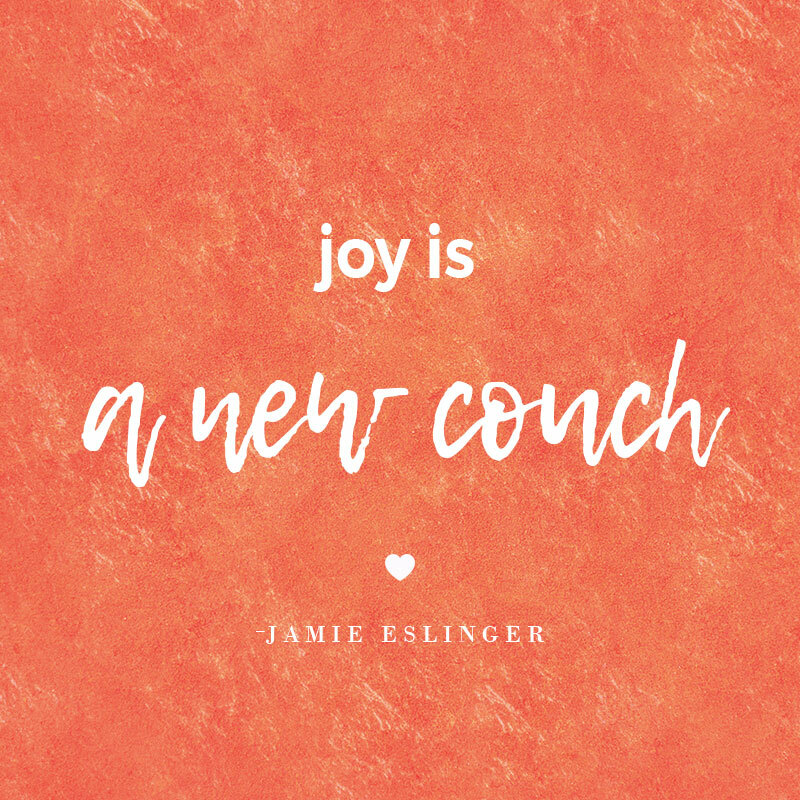 And a new couch is for joy!